BECK, Sir ADAM, manufacturer, horseman, politician, office holder, and philanthropist; b. 20 June 1857 in Baden, Upper Canada, son of Jacob Friedrich Beck and Charlotte Josephine Hespeler; m. 7 Sept. 1898 Lillian Ottaway in Hamilton, Ont., and they had a daughter; d. 15 Aug. 1925 in London, Ont. The Prometheus of Canadian politics during the first quarter of the 20th century, Sir Adam Beck brought the inestimable benefit of cheap electric light and power to the citizens of Ontario through a publicly owned utility, the Hydro-Electric Power Commission of Ontario. He had to fight continuously to build Hydro, as it came to be called, but supported by municipal allies he succeeded in creating one of the largest publicly owned integrated electric systems in the world. Brusque and overbearing, he made many enemies in the process, even amongst his friends, as he rammed his projects forward, frequently over the objections of the governments he notionally served. His ruthless determination to expand Hydro, with little regard to the cost, led eventually to a movement to rein him in. He spent his last years pinned down before three public inquiries as lawyers, accountants, and political adversaries picked over every Hydro expenditure. These public humiliations broke his spirit but failed to diminish his enormous popularity. Adam Beck more than any other public figure in Ontario reshaped the institutional life of the province by making electricity a public utility and legitimizing, through his accomplishments, public ownership as an effective instrument of policy throughout Canada. Beck came from an enterprising immigrant family of builders and makers. In 1829 Frederick and Barbara Beck had emigrated from the Grand Duchy of Baden (Germany) to upstate New York, and then had moved to the Pennsylvania Dutch community of Doon (Kitchener) in Upper Canada, where they settled on a farm and built a sawmill. Their son Jacob, who had stayed behind to work first as a doctor’s apprentice and later in the mills and locomotive works of Schenectady, joined them in 1837. A few miles from his parents, in Preston (Cambridge), he opened a foundry. When fire destroyed it, his friends rallied and he was able to rebuild bigger than before. His first wife, Caroline Logus, whom he married in January 1843, died soon after the birth of a son, Charles. In 1843 Beck had recruited a skilled iron moulder from Buffalo, John Clare (Klarr), to join him; Clare would cement the alliance by marrying his sister in September 1845. With Clare and another partner (Valentine Wahn) running the business, Beck returned to tour his homeland, where he met Charlotte Hespeler, the sister of his Preston neighbour, merchant-manufacturer Jacob Hespeler. When Charlotte came out to Canada, she and Beck were wed, in October 1845; a daughter, Louisa, was born in 1847, followed by two sons, George and William. In a move typical of his venturing spirit, Jacob suggested relocating his company closer to the projected line of the Grand Trunk Railway, but Clare refused. So in 1854 Beck dissolved the partnership and bought 190 acres on the route of the railway ten miles west of Berlin (Kitchener). There he laid out a town-site, which he named Baden, and built a foundry, a grist mill, and a large brick house. Beck’s businesses flourished on the strength of iron orders from the railway, and a brickyard and machine shop were eventually added. It was in this thriving hamlet that Adam Beck was born in 1857. Adam passed a bucolic childhood exploring the edges of the millpond with his brothers, poking about the sooty recesses of the foundry with the workmen, and horseback-riding with his sister. He was sent off to attend William Tassie*’s boarding school in Galt (Cambridge), where he showed no particular distinction; a slow and indifferent student, he preferred riding to reading. His formal education ended at Rockwood Academy, near Guelph. On his return to Baden, his father, who abhorred idleness, set him to work as a groundhog (a moulder’s apprentice) in the foundry. It was said by those who knew Adam that he inherited his enterprising spirit, his determination and visionary ability, and some of his sternness from his father, and a love of public service from his mother. Adam’s career as a moulder came to an end with the failure of his father’s businesses in 1879. At age 63 Jacob Beck, unbowed, started afresh once again, this time as a grain merchant in Detroit. Louisa and the youngest members of the family, Jacob Fritz and Adam, accompanied their parents; one of the older boys, William, stayed in Baden to run the cigar-box manufactory he had started in 1878. Adam returned to work briefly in Toronto as a clerk in a foundry and then as an employee in a cigar factory. With $500 in borrowed money, he joined William and their cousin William Hespeler in a cigar-box factory in Galt in 1881. Hespeler eventually left the partnership, but the two Becks persisted and built a modestly successful business. In 1884, with the inducement of a five-year tax exemption and free water, they moved their works to London, Ont., to be closer to the centre of the province’s cigar-making industry. William left soon afterwards to open a branch in Montreal and for a time Adam worked in partnership with his brother George; from 1 Jan. 1888 Adam was the sole proprietor of William Beck and Company, which later became the Beck Manufacturing Company Limited. Cigar boxes would appear to be a fragile basis on which to build a fortune or a political career. The smoking of cigars, however, was a major rite of male sociability during the Victorian era. Earlier in the century cigars consumed in Canada had originated in Germany and later they came from the United States. The imposition of the National Policy tariff of 25 per cent on rolled cigars but not on tobacco leaf led to the migration of the industry to Canada. London was one of the first major centres where the leaf grown in Ohio, Pennsylvania, and Wisconsin entered the dominion, and it was there and in Montreal [see Samuel Davis*] that the domestic cigar-making business took root. In London the industry would reach its peak around 1912, when 22 companies, employing 1,980 workers, produced more than 20 million cigars. Situated on Albert Street, the Beck factory was essentially a veneer plant. Cedar logs and specialty woods from Spain and Mexico arrived by rail, were stored in the yard for seasoning, and then were peeled into strips to make not only cigar boxes but also cheese boxes and veneer for furniture and pianos. Toiling side by side with his workers (25 in 1889, rising to 125 in 1919), Beck built a thriving business, taking orders, setting up equipment, manhandling logs, and wheeling the finished boxes to customers. (He himself was a non-smoker, an enduring fatherly influence.) Eventually the company supplied all of the main cigar makers with the boxes, labels, and bands in which their products were shipped. Until he was 40, business was Adam Beck’s main preoccupation. In the years after 1897 he emerged much more prominently in public life. He got out more, married, offered himself for public office, and turned the management of his firm over to his brother Jacob. An avid sportsman, he had played baseball as a boy; in London he played tennis and lacrosse and, with a group of bachelors, organized a toboggan club. On the advice of his doctor he took up riding again for relaxation. But nothing with Adam Beck could ever be just a recreation – he quickly became a breeder of racehorses and a competitive jumper. His social life revolved around the London Hunt Club where, in 1897, he became master of the hounds, a post he would hold until 1922. A mutual love of horses and riding brought the muscular Beck and the slim, strikingly beautiful Lillian Ottaway together at a jumping meet; she was 23 years his junior. After a whirlwind courtship they were married in 1898 at Christ’s Church Anglican Cathedral in Hamilton. Lillian, who had been raised in Britain, spoke with a slight English accent, had a lovely soprano voice, rode with gusto, and carried herself regally. Her mother, Marion Elizabeth Stinson*, from a wealthy Hamilton family, had married an English barrister, who died before Lillian was born. At 18 Lillian returned to Canada when her mother married a prominent Hamilton lawyer. After a honeymoon tour of Europe, Beck triumphantly brought his bride to London, Ont., where they promptly acquired the most ostentatious house in the city, Elliston, the estate of Ellis Walton Hyman*, and proceeded to make it even grander, with his and hers stables, under a new name, Headley. From being a sporting, business-possessed bachelor, Beck, with his young wife on his arm, moved effortlessly into the very centre of London society. She sang in the cathedral choir, their house and grounds were the envy of the city, and they made a romantic and devoted couple at dinners and hunt club affairs. Winston Churchill stayed with them on his lecture tour of 1900-1, as did Governor General Lord Minto [Elliot*] and Lady Minto in 1903. 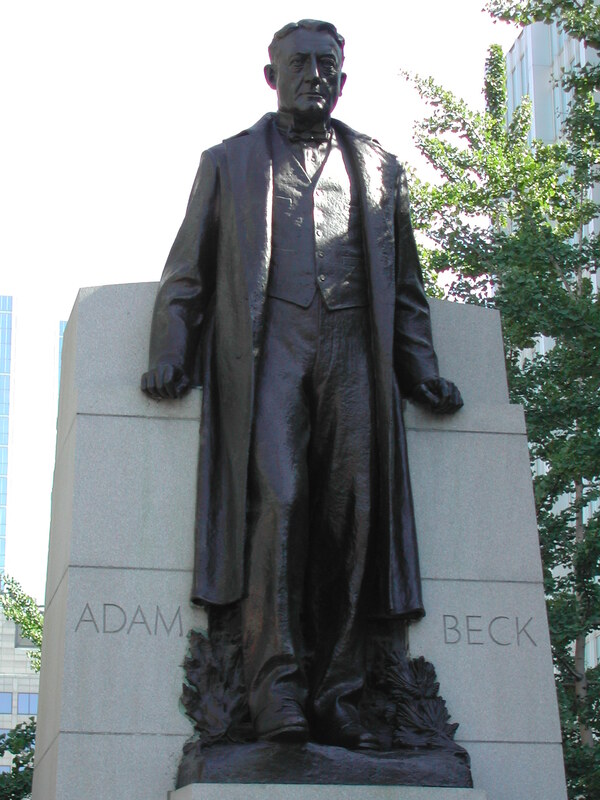 As Adam Beck came out into society, he developed an interest in public life. 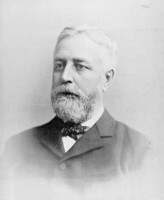 In provincial politics London had long been a Conservative fief – William Ralph Meredith held the seat from 1872 to 1894. The Liberals captured it in a by-election when Meredith was appointed to the bench. 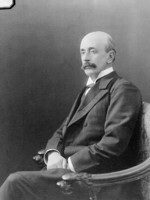 At the next general election, in March 1898, Beck entered the lists for the Conservatives, ultimately falling 301 votes short of beating the Liberal Francis Baxter Leys. Although he perhaps should not have expected a better result, having no previous political experience or strong organization, he left the field feeling slightly wounded. Nevertheless, his political energies were channelled into the Victoria Hospital Trust, to which he was appointed by the city in 1901. Here he scandalized supporters with his aggressive approach towards patients’ rights, his attacks on hospital inefficiency, and his hands-on way of managing repairs economically. It is said that Beck, realizing that he was not likely to be reappointed, ran for mayor to outflank his opposition. In any case, he offered himself and was elected in January 1902. Making few promises, preferring instead to be judged by his works, he plunged into the first of what would be three one-year terms. His administration was marked by a vigorous, reforming tone that discomfited the aldermanic coterie. He promoted civic beautification by offering a prize from his own purse for a garden competition. He persuaded the city to take over the operation of the London and Port Stanley Railway when the private operator’s lease expired. He cleaned out the fire department, promoted public health, and became involved in the leadership of the Union of Canadian Municipalities, whose annual convention he brought to London in 1904. Beck thus learned the political craft at the top of local politics, as a mayor without a long apprenticeship. He entered public life as an oppositionist, a critic who used his personal popularity to drive his reluctant colleagues forward and to cleanse the municipal stables. Despite his class position as a manufacturer, in politics he developed the style of a populist champion of the ordinary citizen against the establishment. Although one might have glimpsed intimations of his future in these London years, it would have required an extremely vivid imagination to see in this maverick local politician the system-building Napoleon of provincial politics that history would know as Sir Adam Beck. 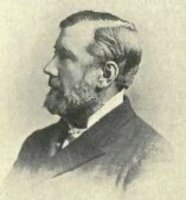 In the election of May 1902 the leader of the Conservative party, James Pliny Whitney*, encouraged Beck to run again, with the offer of a cabinet post. Although the party as a whole was unsuccessful, the popular Beck beat Francis Leys by 131 votes and thus, for the next two and a half years, he would serve as both mayor and mpp of London. It was in his capacity as mayor of a southwestern Ontario industrial city that he came in contact with a group of activists from his home district of Waterloo County who had become agitated by the hydroelectric power question. Led by the manufacturer Elias Weber Bingeman Snider and the enthusiast Daniel Bechtel Detweiler, the anxious businessmen and municipal politicians of the industrial centres of the Grand River valley had begun to organize themselves to obtain Niagara power that they believed would otherwise go to Toronto and Buffalo. They had met in 1902 to study the situation, and then formed common cause with the politicians of Toronto concerned about private monopoly. At first they hoped the provincial government could be persuaded to undertake the distribution of cheap power to the municipalities. Talks with the Liberal premier, George William Ross*, who refused to take on the inevitable debt, convinced them that if they wanted control over electrical distribution they would have to do the job themselves. Beck went as an observer to the first meeting of this group, the Berlin Convention of February 1903, a gathering of 67 delegates representing all of the main towns and cities in southwestern Ontario; he came away an active convert to municipal intervention. In response to this public pressure, in June the Ross government passed legislation (drafted by Snider) authorizing a commission of investigation to explore the possibilities of cooperative municipal action and a statutory framework within which the municipalities could create a permanent commission to operate a distribution system. Snider was the obvious choice as chair of this Ontario Power Commission, which more frequently went by his name. 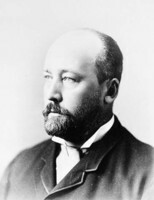 Beck along with Philip William Ellis, a Toronto jewellery manufacturer and wholesaler, and William Foster Cockshutt, a Brantford farm-implements manufacturer, were chosen by the municipal delegates to serve with Snider as commissioners. Thus, in the fall of 1903, Beck began a crash course on the power question. It was a subject ideally suited to his developing temperament, and he could readily identify with the professed goals: economic electrical light and power, equity between the different manufacturing regions, and the welfare of the common people. The vision of sensible, non-partisan, and public-spirited businessmen and municipal leaders (such as himself) appealed to Beck. He could also subscribe to the implicit attack on monopoly, social privilege, and finance capitalism. This was a moral universe in which he felt right at home. As the Snider commission began working out the details of a municipally owned hydroelectric distribution system in 1904, Beck sensed the weakness of the voluntary, cooperative structure. It lacked the authority to order the power companies to surrender sensitive information vital to the enterprise, and the municipalities could not agree on much for long. Financing a collective municipal enterprise without provincial backing would be fraught with difficulties. The more he studied the question the more he became convinced that the province would have to play a major role, not just facilitate municipal activity. This growing conviction coincided with a major shift in the political landscape. The Liberal party was losing its hold over the electorate. Rooted in rural Ontario, it had trouble coming to grips with issues important to the rapidly growing urban constituencies. The Conservatives had crept to within three seats of upsetting the Liberals in 1902. In January 1905 Whitney’s Conservatives swept to a landslide victory, capturing 69 of the 98 seats. In London, the increasingly popular Adam Beck won with a plurality of 566 votes. The hydroelectric question had not figured prominently in the campaign. The change in government, however, catapulted Beck into a position of some influence provincially. On 8 February he was made a minister without portfolio in the new administration. 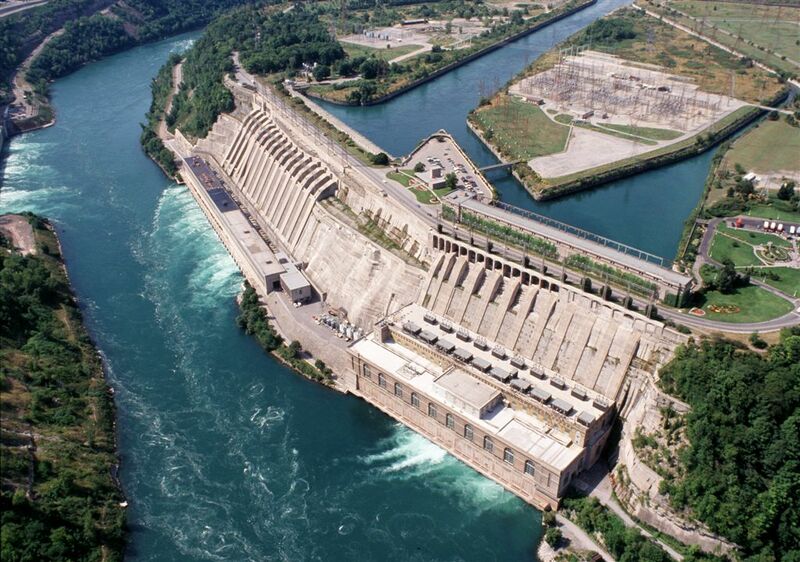 After the election, Whitney grandly promised that the water-power of Niagara “should be as free as air” and be developed for the public good. “It is the duty of the Government,” Beck insisted in his populist fashion, “to see that development is not hindered by permitting a handful of people to enrich themselves out of these treasures at the expense of the general public.” To that end Whitney cancelled an eleventh-hour water-power concession granted by the Ross government and on 5 July he appointed Beck to head a hydroelectric commission of inquiry. It was empowered to take an inventory of available water-power sites, gather information on existing companies in terms of their capital costs, their operating expenses, and the prices they charged, and recommend an appropriate provincial policy with respect to the generation and distribution of hydroelectricity. Beck continued to be a member of the Snider commission but clearly he had moved on to a broader conception of the power question; he now wielded a much more powerful regulatory and investigative instrument and could act with the authority of the province. Henceforth he would be the undisputed leader of the hydro movement. The Snider commission, which reported first, in March 1906, recommended the construction of a cooperatively owned hydroelectric system linking the major municipal utilities to generating facilities at Niagara under the control of a permanent power commission financed and managed by the subscribing municipalities. 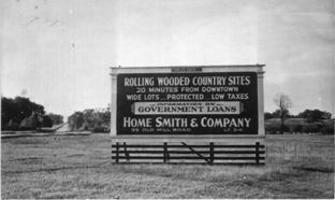 In the weeks that followed, the Beck commission, in the first of its five regional reports, and more particularly the activities of Beck himself, superseded the Snider notion of a municipal cooperative. Beck’s initial report, on Niagara and southwest Ontario, prepared the way instead for provincial action by pointing out the excessive rates charged by private power companies, and the inherent difficulties of government regulation. He gave an important speech in Guelph urging direct provincial intervention. He inspired a mass meeting of municipal representatives at Toronto city hall and, on 11 April, a demonstration on the lawn of the legislature demanding that the province empower a commission to generate, transmit, and sell power to the municipalities at the lowest possible cost, and regulate the prices charged by the private providers. Beck also orchestrated a deluge of petitions from the municipal councils. All of this effort was intended to soften up his colleagues in cabinet, most of whom harboured deep suspicions about public ownership in general and Beck’s movement in particular. The strategy worked. The Whitney government hesitantly introduced legislation on 7 May (Act to provide for the transmission of electrical power to municipalities) which, in effect, created a three-member provincial crown corporation (though it was not called that), the Hydro-Electric Power Commission. Operating outside the usual civil service constraints and with extensive powers of expropriation, this body would have full powers to purchase, lease, or build transmission facilities financed by provincial bonds. Local utilities could buy power from the commission only after municipal voters had approved the contract and the enabling financial by-law. Astonishingly, Beck’s extraparliamentary organization cowed even the opposition: the bill passed unanimously in less than a week. In organizational terms Beck had pushed on beyond an unwieldy municipal cooperative to a provincial crown agency. In doing so he had alienated some of his friends, especially in the way he had shoved Snider aside and unilaterally appropriated studies done by the Snider commission for his own investigation. Nonetheless he had created a broad coalition of municipal activists behind his determination to build a publicly owned, provincial system. But there were many possible forms, involving different degrees of state intervention, that the organization might take. The government remained ambivalent, guarded, and internally divided. What eventually emerged as Ontario Hydro, however, was Beck’s creation over the opposition of his cabinet colleagues. 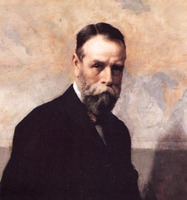 On 7 June 1906 Whitney appointed Beck chairman of the new commission, as expected. Needed engineering expertise would come from Cecil Brunswick Smith. And to balance Beck’s populism and rein in his enthusiasms, Whitney also persuaded a reluctant John Strathearn Hendrie of Hamilton to serve, Beck’s peer as a horseman, a man of his wife’s class, and a known supporter of the private power companies, among them the Hamilton Electric Light and Cataract Power Company Limited [see John Patterson*]. The private interests, especially the group promoting the only Canadian firm at Niagara, the Electrical Development Company of Ontario Limited from Toronto, having failed in their first attempts to derail Beck, now bent their minds to seeking some reasonable accommodation with the government. There were many in the cabinet, the premier included, who were sympathetic to this point of view. The Electrical Development Company was in a precarious financial position; a collapse would be a costly blot on the province. Whitney insisted that every consideration be given the company in negotiating the contract for power in early 1907 with the winning bidder, the American-based Ontario Power Company, and then with respect to the construction of the transmission line. In each case negotiations failed. The premier did not conceive of his policy as a guerre à outrance against the private interests. He believed in talking tough, but in the end was willing to come to terms. Unlike Beck, Whitney was a practitioner of brokerage politics. Beck, a newly formed ideologue, was not prepared to bargain away what had formed in his mind as a just alternative to private control. It was possible that neither of them knew the truth about themselves, though in time they came to a realization of their honest differences. For his part Beck had to manoeuvre against the wishes of his premier and colleagues in cabinet. From their point of view he could be unpleasant, ruthless, even unprincipled. He would change his mind without notice, withhold information, go back on deals, and alternately retreat in a sulk or play the rude bully. Beck proved a formidable champion. The Toronto market was a key element in his grand scheme. Without access, which the city wanted, he could not deliver cheap electricity to southwestern towns, but Toronto’s system was controlled by the Electrical Development Company. In the resulting contest over a proposed by-law to fund a municipal network powered by Hydro, Beck’s emotional, simplistic rhetoric was a telling factor. He also profited from the ineptitude and arrogance of his corporate opponents in Electrical Development, Frederic Nicholls, Sir Henry Mill Pellatt*, and William Mackenzie, whose financial reputations had already taken a beating from the royal commission on life insurance in 1906. During the winter of 1907-8 by-laws endorsing the contracts with Ontario Hydro were approved by municipal ratepayers with huge majorities in Toronto and elsewhere. Hydro policy also proved extremely popular in the election of June 1908, in which the government increased both its popular vote and its number of seats. Beck now had a dual mandate from the municipal and provincial electorates. When a desperate Mackenzie amalgamated several enterprises into one utility in 1908 and then belatedly attempted to forestall provincial ownership with a counterproposal to build the system and distribute power under government regulation, the offer came too late. The government had gone so far it could not safely turn back; a publicly owned transmission company would have to be created. Mackenzie and his colleagues had played the game badly and when they lost, after having been given every possible consideration, they turned viciously on Beck and the government. Their quixotic campaign to undermine provincial credit in British financial circles, and then to seek disallowance in Ottawa of key Hydro legislation, served only to bring Whitney and Beck closer together and solidify the political foundations of Ontario Hydro. Using electricity generated by the Ontario Power Company, the Hydro-Electric Power Commission became an operating entity in a series of theatrical turning-on ceremonies that began in the fall of 1910 and continued into 1911 as successive towns and cities were wired into the grid. Each of these civic festivals became an opportunity for Beck to recount the triumph of public power over private greed. His hostility towards the private power companies, who were now his competitors, and his shameless self-promotion as the champion of “The People’s Power,” deeply troubled his colleagues. Moreover, his independent conduct raised awkward questions about the precise relationship between the management of Hydro and the government. Before the election of December 1911 Whitney floated a trial balloon, suggesting that the time had come to make Hydro a department of government, under the full control of the cabinet. 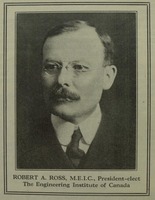 Beck did not openly attack the proposal, but once he was acclaimed in his own seat and the government was re-elected, his municipal allies, acting through the Ontario Municipal Electric Association, formed in early 1912, launched an aggressive campaign on his behalf; it not only supported Beck as chairman of a quasi-independent commission, but also (in February) brought him a handsome $6,000 salary, without requiring his resignation from the legislature. With this vote of confidence from the people and somewhat more reluctantly from the premier, Beck struggled within a competitive environment to build Hydro through dramatic price cutting and political showmanship. In his campaign to expand consumption Beck became an electrical Messiah: in speeches and publicity he extolled the power of abundant cheap light to brighten the homes of working people; cheap electricity would create more jobs in the factories of the province; hydro would lighten the drudgery of the barn and the household; and electric railways radiating out from the cities into the countryside would create more prosperous, progressive farms even as light and power made brighter, cleaner cities. With his famous travelling exhibits of the latest electrical appliances (popularly called circuses), rural tests, and local Hydro stores (where household appliances were on display), and in parade floats, newspaper and magazine advertisements, and a host of speeches, Beck presented public hydro as an elixir, but he was no snake-oil salesman. He understood the economics of the electric industry better than his competitors or his critics. Along with utilities magnate Samuel Insull of Chicago, Beck realized that the more electricity he could sell, the cheaper it would cost to acquire. It was a difficult lesson to teach. He even had to browbeat some of the more fiscally conservative municipal utilities, most notably the Toronto Hydro-Electric Power Commission, to pass the lower rates on to consumers. In the process he continued to expand his publicly owned system at the expense of his private competitors. In Toronto and across the province, Beck acquired a more ardent following than the government itself. At home he and his family continued to rise in public esteem. London’s municipal electric utility, which received its first hydro from Niagara in 1910, became a model for progressive business promotion and Beck loyalism. Personally Beck maintained an active interest in civic politics. When the water commissioners proposed a treatment facility to take more water from the tainted Thames River, he boldly promised to find enough clean fresh water in artesian wells. The city took him up on this offer, voting $10,000 for the purpose. In 1910 Beck drilled the wells, installed electrical pumps, and brought the project in on time and on budget, or rather, he absorbed the excess costs himself. In two grand gestures Beck brought light and water to the growing city in the same year. However, it was in the field of public health that the Becks made their greatest contribution. Sometime in l907 or 1908 the Becks’ young daughter, Marion Auria, contracted tuberculosis. Her worried parents sought out the best specialists in America and in Europe. Mercifully her case responded to treatment. But the Becks became concerned for those families in their community who lacked the means to provide their children with medical care. Everyone, they believed, ought to have close access to first-class tuberculosis facilities. Accordingly, in 1909 Adam and Lillian Beck organized the London Health Association to provide a sanatorium. From local individuals and organizations they raised $10,000 (led by their own donation of $1,200), the city contributed $5,000, and the province added $4,000. On 5 April 1910 Governor General Lord Grey* opened the Queen Alexandra Sanatorium in the village of Byron, west of the city. For the rest of their lives the Becks remained deeply attached to this sanatorium and made its maintenance and expansion their passion. As president from its inception to his death in 1925 and a sometimes overbearing physical presence on the weekends, Adam Beck personally oversaw all major and even many minor renovations. A society beauty, Lillian Beck also continued to be a fiercely competitive horsewoman. The Beck stables produced a string of outstanding hunter-class horses that won Adam and Lillian international recognition. In 1907 they competed in the Olympia Horse Show in London, England, where Lillian’s horse My Fellow won its class. To remain competitive, the Becks leased an estate in England in 1913 to maintain their equestrian operation at the highest international standards. From that time onward Lillian and Marion lived about half the year in England; Adam paid extended visits when his schedule permitted. In 1914 their prize-winning horses Melrose, Sir Edward, and Sir James were counted among the finest middleweight and heavyweight hunters in the world. The Becks also competed regularly at the National Horse Show in New York City where, in 1915, Lillian was named a judge over chauvinist protests, famously breaking down the barriers of this once exclusively male domain. Adam Beck’s contribution to London had been publicly recognized in an unprecedented dinner given in his honour on 25 Nov. 1913. At this glittering affair, attended by 500 in the Masonic Temple, Anglican bishop David Williams* proclaimed him “incorrupt and incorruptible”; Roman Catholic bishop Michael Francis Fallon* eulogized his vision, character, and charitable works; and the mayor and city council gave him a silver candelabra and tray. While the ladies looked on from the galleries, the head-table guests were served their dinners from a small electric railway. 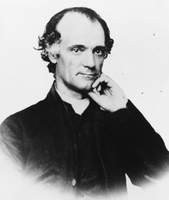 According to the London Free Press, this banquet was “the most remarkable and spontaneous demonstration of affection and regard ever tendered a public man in London.” Visibly moved, Beck spoke briefly of his satisfaction at lightening the load of the poor, the housewife, the farmer, the merchant, and afflicted children, and pledged to carry on the fight to create a renewed citizenship based upon “service, progress and righteousness.” These local honours were crowned the following year when he received a knighthood in the king’s June honours list. He was now Sir Adam, the Power Knight, and Lillian formally became what she had long been in style, Lady Beck. Charging at fences on horseback, or driving the rapidly growing Hydro system forward, Sir Adam Beck was at the height of his power in 1914. Re-elected by a large majority in the general election of 29 June 1914, Beck directed a major structural transformation of Hydro during his next term with fewer constraints than in the past. 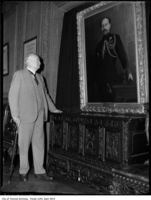 Whitney, who died in September, was replaced by a less adept premier, William Howard Hearst*. Beck’s nemesis, John Hendrie, resigned from the Hydro-Electric Power Commission to become lieutenant governor. Beck thus had a much freer rein, though Hearst did not include him in his cabinet. Hydro’s head set about expanding his organization with a powerful lobby, the Ontario Municipal Electric Association, zealously behind him. Beck and the regional municipalities fixed upon electric radial railways as a major force for modernization and rural reconstruction. In 1913 the Hydro Electric Railway Act and amendments to the Ontario Railway Act had prepared the way legislatively. A web of light lines that connected farms, towns, and cities and delivered transportation at cost under a public authority had enormous appeal and Beck became its most ardent hot gospeller. He managed to have the abject London and Port Stanley Railway electrified as a glowing prototype. Coincidentally the baseload of the proposed railways would greatly increase electric consumption and drive Hydro to a new stage of development as a fully integrated regional monopoly that provided hydroelectric generation, transmission, and distribution services as well as high-speed transportation. This grandiose vision of electrical modernization had commensurate costs, which Beck somewhat disingenuously managed to minimize. In 1914 Hydro and the municipalities received legislative permission, subject to ratepayer approval, to enter into the inter-city electric railway business. By stages Hydro acquired the legal authority to generate power as well as distribute it through the purchase of a utility (Big Chute) on the Severn River and the construction of regional power stations in 1914-15 at Wasdell Falls, also on the Severn, and Eugenia Falls, near Flesherton. These were sideshows, however; the centrepiece of the proposed integrated system remained Niagara. 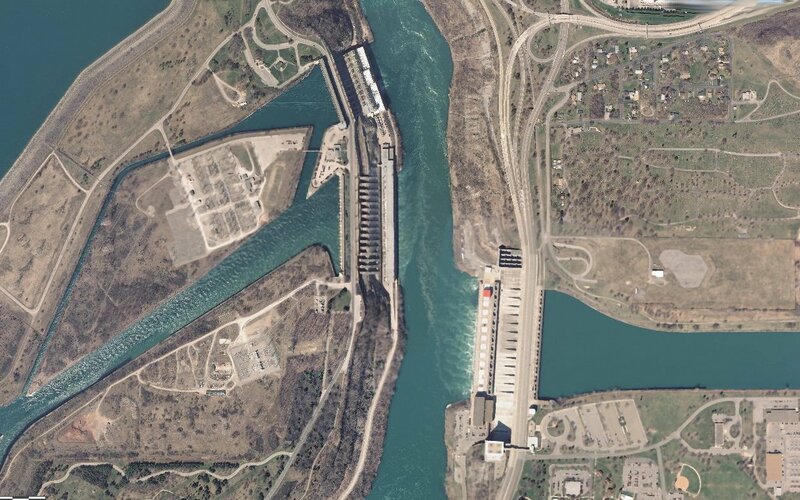 In 1914 Hydro quietly began planning for a massive hydroelectric station there, but there was precious little water left at Niagara to turn the turbines. A treaty negotiated with the United States in 1908 limited the amount that might be diverted for power purposes; the three existing private companies at Niagara had already acquired, between them, the rights to most of the Canadian quota. 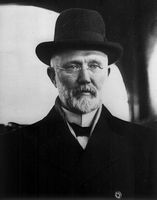 Beck had made the development of the hydroelectric system into the central issue on the Ontario political agenda when conflict broke out in Europe in August 1914. The Becks threw themselves wholeheartedly into the war effort. In 1912 the military authorities had cleverly put Adam’s organizing talents and his knowledge of horses together by naming him to a remount committee. At the outset of the war he took charge of acquiring horses for the Canadian army in the territory from Halifax to the Lakehead. In June 1915 he assumed this responsibility for the British army as well, an appointment that brought him an honorary colonelcy. Inevitably, allegations arose that his agency either paid too much for horses or acquired unsuitable remounts, but the claims were not substantiated upon investigation. Together Adam and Lillian Beck also made personal contributions to the war effort, donating all of their champion horses to the cause. General Edwin Alfred Hervey Alderson, for example, rode Sir James, Adam’s most famous horse. Lady Beck, in England for most of the war, working with the Canadian Red Cross Society, devoted herself particularly to ensuring that wounded veterans were welcomed into British country homes for their convalescence. The Queen Alexandra Sanatorium in Ontario was expanded in 1917-18 to accommodate the rehabilitation of wounded returnees. The arrangement worked well, but in the later stages of the war battle-hardened veterans began to complain about the hospital’s stern regimen, much of which was attributed to Sir Adam’s “Germanic” direction. In 1916, for his local and patriotic help, Beck had received an lld from the Western University of London, which he served as a director and later as chancellor. At first the war had relatively little impact on Beck’s plans for Hydro. The municipal elections of January 1917, for example, revolved around the approval of by-laws for Hydro radials and vague authorization for the future generation of power at Niagara. Then the rapidly increasing power demands of wartime industrialization provided the overriding urgency, later in 1917, to overcome opposition to the purchase of one of the power companies at Niagara (Ontario Power) and forge ahead with the construction of a large diversion canal and a world-scale plant at Queenston, which would make much more efficient use of the available water. Shamelessly using the moral purpose of the war, Beck hemmed in his private competitors even more, setting the stage for their eventual acquisition, though the negotiations would be unduly drawn out, litigious, and embittered. However, war, inflation, railway nationalization, and the demands of automotive technology for better roads combined to damp enthusiasm for the radial railway project. Moreover, the problem for the Hydro-Electric Commission now was not finding ways of selling surplus power, but rather keeping up with galloping industrial, commercial, municipal, and domestic demand. When the war ended, Hydro’s transformation into an integrated utility producing as well as transmitting its own power was much closer to realization. Its corresponding administrative growth had been grandly marked by the ornate office building begun on University Avenue in Toronto in 1914 and occupied in 1916. Sir Adam had a good war, but he emerged from it a wounded politician. From the very beginning there had been critics of the Hydro project and Beck’s management of it. Canadian private producers and British investors placed obstacles in the way during the early stages. As Hydro advanced, it attracted new critics: private power advocates from the United States, who viewed the progress of public ownership in Ontario with alarm. In 1912 a New York State committee of investigation, the Ferris committee, issued a sharply critical report. A year later a prominent American hydroelectric expert, Reginald Pelham Bolton, denounced the unorthodox financing of Hydro in An expensive experiment . . . (New York). Between 15 July and 23 Dec. 1916 James Mavor, a professor of political economy at the University of Toronto, published a devastating critique of Hydro’s lack of accountability, dictatorial methods, and tendency to subvert democracy in a series of articles in the Financial Post (Toronto), later reprinted as Niagara in politics . . . (New York, 1925). In the final analysis Beck was his own worst enemy. His authoritarian management style invited criticism. In 1916 the provincial auditor, James Clancy, threw up his hands at Hydro’s accounting practices. Beck embarrassed his premier and government with surprises. He was not one to compromise, even with his friends. A scrapper and sometimes a bully, he intimidated his staff and his municipal allies, and regarded the government and the legislature with disdain. He was more popular and more powerful than the premier, and he acted as if he knew it. Hydro, in his mind, was bigger than any government and he was the personal embodiment of Hydro. Cautious people who wanted to know in advance how much projects would cost were battered into submission and put on his list of enemies; when the bills added up to two or three times the initial estimates, there were always convoluted exculpatory explanations. Dismissing his censors, Beck stormed ahead, fuming with rage at the conspiracies mounted against him and bristling with indignation at the slightest criticism. Even Beck’s defenders tired of his haughty, domineering ways. A frustrated Hearst, when accused by Beck of hindering Hydro’s development in the spring of 1919, rebuked Sir Adam for never taking him into his confidence, for his presumptuous attitude towards parliament, and for saddling others with responsibility for Hydro’s mounting debt. Beck responded by withdrawing his support from the government and by announcing his intention to run independently in the upcoming election. The election of October 1919 came as a devastating blow to Beck and, potentially, to his project. As an independent in London, he was defeated by his sole opponent, Dr Hugh Allan Stevenson, the Labour candidate, who benefited from disaffected Tory votes, some nastiness about Beck’s ethnic background, and a vocal uprising amongst the returned soldiers in the Queen Alexandra Sanatorium. The timing could not have been worse. Beck’s massive Queenston hydroelectric station lay only half completed and the radial railway scheme had stalled; however, Beck’s enormous popularity, which transcended party lines, saved him. The victorious but leaderless United Farmers of Ontario initially sounded him out as a possible premier, but both sides quickly thought better of it. Although Labour strongly supported Hydro, the UFO were much more reserved, especially about Beck’s radial-railway enthusiasms; they preferred improved roads. As chairman of the Hydro-Electric Power Commission, Beck had also been an mpp and, for much of the time, a minister without portfolio. The election broke that political connection with the government in power. 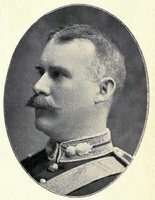 The eventual premier, Ernest Charles Drury*, had little choice but to keep Beck on as chairman, but he appointed a tough ex-soldier, Lieutenant-Colonel Dougall Carmichael, to the commission to keep him in line. Over the next four years the new government and the tempestuous Power Knight remained locked in combat. 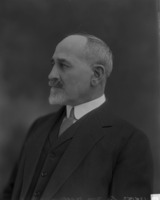 For much of the time William Rothwell Plewman, a reporter for the Toronto Daily Star, acted as unofficial mediator between Hydro and the premier, who was determined that Hydro do the government’s bidding and not the other way around. On 6 July 1920 the government announced a royal commission to reconsider Beck’s radial program in light of the rising costs, disappointing experience in other jurisdictions, and technological change. Beck immediately orchestrated a campaign of resistance. In emergency meetings on the 8th at Toronto city hall and the Hydro building, for instance, the Hydro-Electric Radial Association registered its “strong disapproval” of the commission. Provincial treasurer Peter Smith responded for the government that it would not be stampeded. In July 1921 the commission, chaired by Robert Franklin Sutherland, produced a report that was highly critical of radials and recommended construction of only a much reduced system. Meanwhile, Beck had wasted valuable political capital in an acrimonious takeover of Sir William Mackenzie’s Toronto Power Company Limited and its related electric and radial companies and in fighting the City of Toronto over an eight-track entry corridor for a mammoth radial system. Characteristically, he condemned the Sutherland report in an intemperate pamphlet and urged the municipalities not to let up in their campaign. The adverse report, a hostile provincial government, and defeats for radial by-laws (particularly in Toronto) in the municipal elections of January 1922 effectively put an end to Beck’s radial dream. Drury, concerned at the spiralling costs of the Queenston hydroelectric plant, wanted an inquiry into this project as well. At first Beck agreed. However, when his hand-picked expert, Hugh L. Cooper, questioned the design, recalculated the costs upward, and insisted upon changes in the power canal to enhance capacity, Beck rejected his advice and appointed another consulting engineer. The turbines had begun to turn on the first phase of this huge project on 29 Dec. 1921, but there seemed to be no relation between the estimates Beck presented and the mounting bills; in one year the difference amounted to $20 million. Unable to explain the situation, Colonel Carmichael offered his resignation, which the premier refused. The cost of the undertaking, now much larger, had ballooned from the initial $20 million to $84 million and counting. Drury, who had to guarantee the bonds for the over-budget project and take political responsibility for it, insisted upon a commission of inquiry with a sweeping mandate to examine the overall operations of Hydro, not just Queenston. This commission, appointed in April 1922 and chaired by Liberal lawyer Walter Dymond Gregory, became in effect an adversarial audit of Beck’s management that involved scores of witnesses, produced thousands of pages of testimony, and ran into the middle of 1923. These political setbacks were, in some respects, the least of his problems. 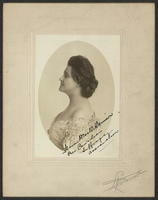 On 17 Oct. 1921 his beloved wife had died from complications following surgery for pancreatitis. Sir Adam and Lady Beck had been a deeply devoted couple despite their often long absences from one another. Living in the Alexandra apartments next to the Hydro building, they had only just begun to settle into life together in Toronto society. Moreover, she had been the one mellowing influence in his life. He was devastated by the loss. A widower, he was now also the single parent of a fiercely independent teenager. With the check upon his temper in a Hamilton grave, he became more difficult and erratic in the face of his daughter’s defiance and the ascendancy of those he considered to be his political enemies. These were the years of Beck’s towering, black rages. Beck had run Hydro as a private corporation. Honest and incorruptible personally, he nevertheless paid scant attention to the niceties of accounting. He would routinely spend funds authorized for one purpose on any project he deemed in the interests of Hydro, including local by-law campaigns. For Beck the ends justified the means. Meanwhile, his vision of a provincial, publicly owned hydroelectric monopoly that served the municipal utilities and provided power at the lowest possible cost had been largely realized. In 1923 Hydro served 393 municipalities and distributed 685,000 horsepower using facilities in which over $170 million had been invested. Beck was a magnificent builder. There could be no denying his accomplishments, though, as the hearings of the Gregory commission showed, his management style, planning, political methods, and accountability to the legislature could be questioned. The vexations suffered at the hands of the UFO government eventually drew Beck back to the bosom of the Conservative party in self-defence. In the election of June 1923 he stood as a Conservative in his old London riding. The irony of a civil servant running as a candidate in opposition to the government was not lost on Drury or the Farmers’ Sun (Toronto), but Beck managed to get away with it. This time he won with a plurality of more than 7,000 votes – a wonderful personal vindication. 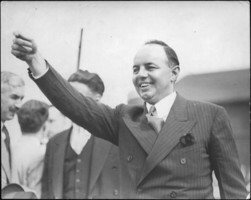 George Howard Ferguson*’s Conservatives swept the province, and Beck returned to cabinet in July as a minister without portfolio. Ferguson brought the Gregory inquiry to an abrupt conclusion and made much of the fact that Sir Adam’s general stewardship of Hydro had been supported in the commission’s voluminous evidence and summary reports. Beck’s probity could be stressed while quietly the government used the critical aspects of Gregory’s reports to bring Hydro more fully within the framework of financial and political accountability. The political struggle and quarrels with his daughter over her determination to marry Strathearn Hay, whom he deemed unsuitable in part because he was related to the Hendrie family, exhausted Beck, whose health and mental outlook deteriorated. It took Howard Ferguson’s intervention to persuade him to attend Marion’s wedding in January 1925. Ordered to rest by his doctors, who had diagnosed his illness as pernicious anaemia, Beck went to South Carolina for a holiday in February, and then he underwent transfusion treatment at Johns Hopkins Hospital in Baltimore. There he brooded about his beloved Hydro, strategies for the hydroelectric development of the St Lawrence River, and the continuing machinations of the private power interests, and he grumbled that the premier and his colleagues in government were neglecting him. He was a broken man by his own admission. In May, Beck quietly slipped back to his home in London, where he attempted to conduct Hydro business by telephone from his bedroom. 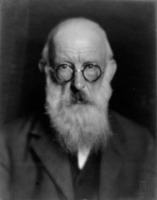 He weakened rapidly over the summer and died on 15 Aug. 1925 in his 69th year. Beck’s passing shocked the province; the seriousness of his condition had not been widely understood. The death announcement occasioned a spontaneous outpouring of grief, with eulogies pouring in from every quarter. His obituaries filled pages in the newspapers. “Canada has not produced a greater man than the late Sir Adam Beck,” declared Saturday Night (Toronto) as it enshrined him in the national pantheon along with Sir John A. Macdonald*, Lord Mount Stephen [Stephen], and Sir William Cornelius Van Horne*. 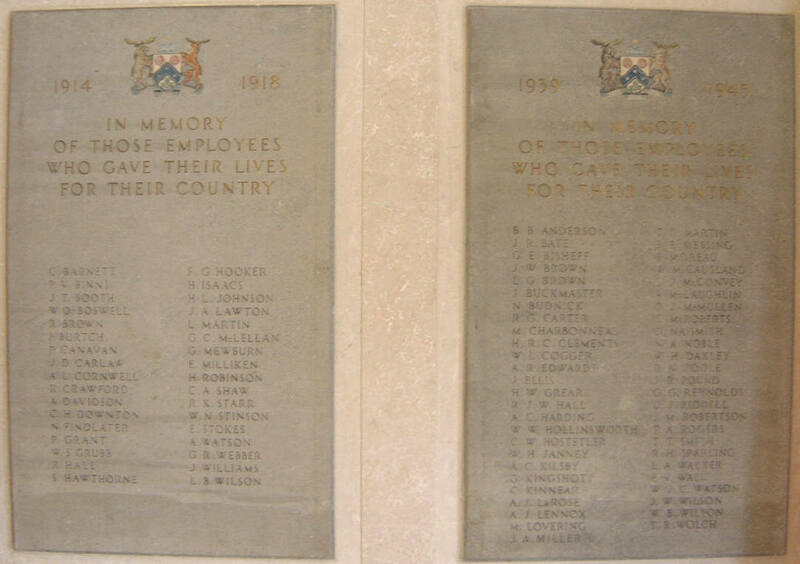 Ontario city halls were draped in black, the Hydro shops and offices closed in tribute, and in London business ceased for an hour. Thousands lined the streets for his funeral cortège. The ceremony at St Paul’s Anglican Cathedral, attended by all the major political figures of the province, was also broadcast over the radio. As his funeral train mournfully passed from London across Beck’s political heartland to Hamilton, where he was to be interred in Greenwood Cemetery under a granite cross beside his wife, farmers and their families paused from their toil and men swept their hats from their heads. The entire Toronto City Council attended his burial. It is a small irony that Beck lies in what he would have considered enemy ground, Hamilton, the last bastion of private power. But for once his wish to be beside his wife overcame his prejudices. 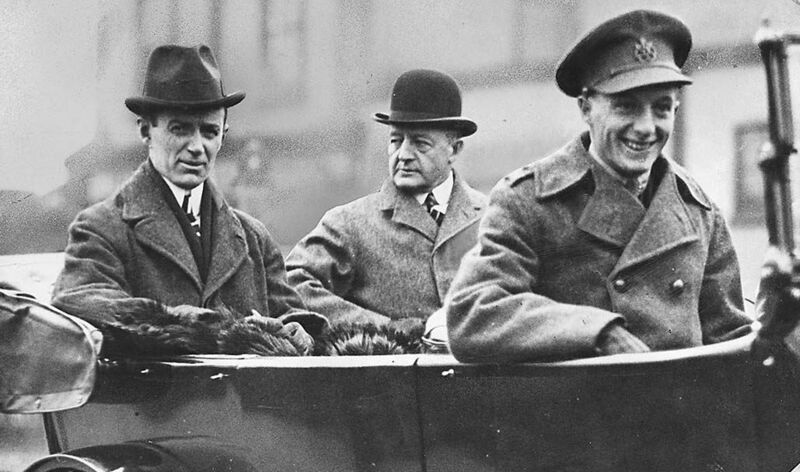 Sir Adam Beck’s death marked the end of an unusual period in Ontario politics, one in which the chairman of Hydro had exercised greater power and influence than the premier and commanded a broad-based, populist political following much stronger than any political party. In building Hydro, Beck almost succeeded in creating an institution that was a law unto itself and for a long time it would continue to demonstrate some of the characteristics of independence. He died a wealthy man with an estate valued at more than $627,000, although his manufacturing business had been in decline for some years. His salary from his chairmanship of Hydro over 20 years totalled $197,000. Some of his wealth may have come to him from his wife. After making numerous small bequests to relatives and charities, he left a trust fund of approximately half a million dollars to his daughter and her heirs. Beck’s memory was kept alive by the Ontario Municipal Electric Association, Hydro, and the citizens of London. In 1934 Toronto and the Hydro municipalities raised a splendid monument to him that still commands University Avenue. This brooding statue, by Emanuel Otto Hahn*, and Beck’s grave in Hamilton became sites of regular pilgrimages and wreath-laying ceremonies by the heirs and successors to the OMEA as they struggled to perpetuate the notion of Hydro as a municipal cooperative. Hydro publications regularly stressed the vision and legacy of Beck during the era of growth after World War I; eventually the much enlarged power stations at Queenston were renamed Beck No.1 and Beck No.2 in his honour. In London a new collegiate was named after him and a nearby public school was named after Lady Beck. The Women’s Sanatorium Aid Society of London built a charming chapel, St Luke’s in the Garden, across from the Queen Alexandra Sanatorium in memory of the Becks in 1932. The sanatorium itself became the Beck Memorial Sanatorium in 1948. In print, W. R. Plewman’s vivid 1947 biography captured the greatness of Beck and the tempestuous nature of his personality. Merrill Denison*’s commissioned history of Hydro in 1960 established continuity between the transcendent hero figure at the beginning and the transforming, province-girdling corporation Hydro had become in the postwar era. As the obituaries noted, Hydro itself was Beck’s greatest monument. He worried on his deathbed that political partisanship would overcome it and that Hydro as an independent entity would not survive. But in his absence it continued to flourish, firmly rooted in the towns and cities, along the back concessions, and amongst the merchants, workers, farmers, and homemakers of the province. Hydroelectricity generated and delivered by a crown corporation to municipally owned utilities at the lowest cost had become an Ontario institution that would outlive changing governments and passing ideologies. That had largely been Sir Adam Beck’s doing. Sir Adam Beck’s publications include Report of the Hydro-Electric Power Commission of Ontario (1906) and The genesis of the power movement (Report no.ORR–101.–12, 1907), both of which are held at the Hydro One Inc. Corporate Arch. (Toronto). Beck also published The conservation of the water-powers of Ontario: an address delivered by Honourable Adam Beck before the first annual meeting of the Commission of Conservation ([Ottawa, 1910? ]; repr. from the first Annual report of the Commission of Conservation, 1910); Hydro-electric power for the farm: special interview with Sir Adam Beck on uses and development of electricity in rural districts ([n.p., 1919? ]; repr. from Farm and Dairy (Peterborough, Ont.) 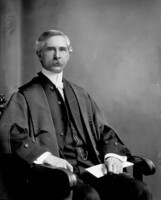 18 Dec. 1919); Re “Murray report” on electric utilities: refutation of unjust statements contained in a report published by the National Electric Light Association entitled, “Government owned and controlled compared with privately owned and regulated electric utilities in Canada and the United States” respecting the Hydro-Electric Power Commission of Ontario (Toronto, 1922); Re “Sutherland commission” majority report; statement respecting findings and other statements contained in majority report of the commission (known as the “Sutherland commission”) appointed to inquire into the subject of hydro-electric railways (Toronto, 1922); Errors and misrepresentations made by the hydroelectric inquiry commission (known as the Gregory commission) respecting the publicly owned and operated hydro-electric power undertaking of municipalities in the province of Ontario (Toronto, 1925); Misstatements and misrepresentations derogatory to the Hydro-Electric Power Commission of Ontario contained in a report published by the Smithsonian Institution entitled “Niagara Falls: its power possibilities and preservation”, under the authorship of Samuel S. Wyer, examined and refuted by Sir Adam Beck (Toronto, 1925); A statement by Sir Adam Beck protesting against the exportation of electric power, with special reference to the proposed lease of the Carillon power site (Toronto, 1925); and Unjust and harmful proposals published by authority of an organization known as the Canadian Deep Waterways and Power Association under the chairmanship of Mr. O. E. Fleming, examined and exposed by Sir Adam Beck (Toronto, 1925). H. V. Nelles, “BECK, Sir ADAM,” in Dictionary of Canadian Biography, vol. 15, University of Toronto/Université Laval, 2003–, accessed April 20, 2019, http://www.biographi.ca/en/bio/beck_adam_15E.html.